This title from Peko Publishing is the third in the World War Two Photobook series. 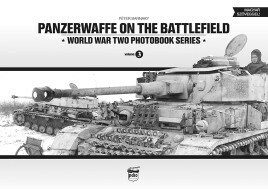 The book takes a general look at Pz.Kpfw.I - IV plus 35 & 38(t). The contents of captions focused on the various modifications of these panzers. Covers the entire war period; from 1939 to 1945 and all theaters.